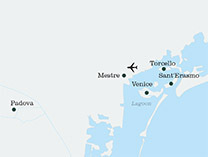 Our hotel is in the Dorsoduro district of Venice. 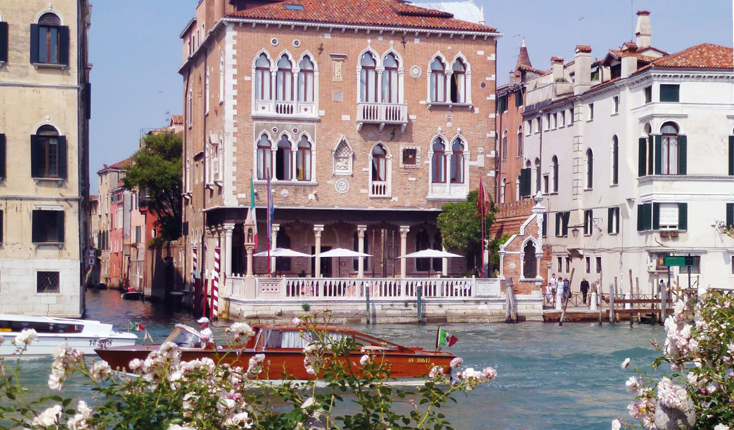 Overlooking the Grand Canal, the terrace is particularly delightful for breakfast or an aperitivo. 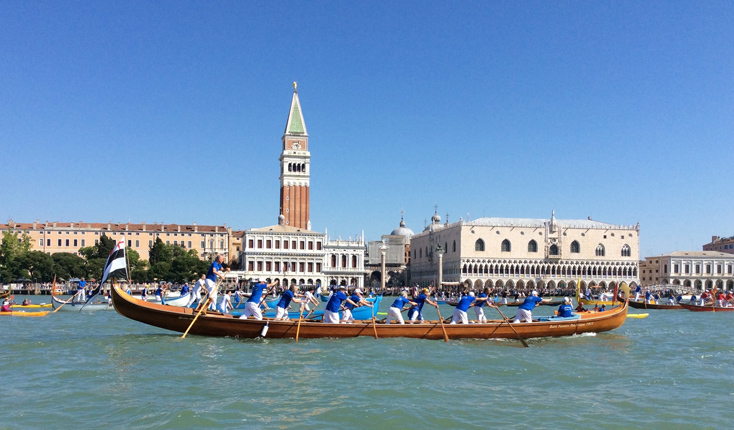 The Ca’ Rezzonico Museum, the Accademia and the Peggy Guggenheim Gallery are nearby. We explore the city by boat or on foot along narrow paths and sometimes along canals, often coming across a lovely square or feature of interest; while on the mainland, we travel by minibus. There will be a maximum of nineteen participants, and the tour will be led by Susan together with Martina Boffelli and Martino Rizzi our specialist Venetian guides. Flight to Venice Marco Polo airport where you will be met and transferred to the most delightful Hotel Palazzo Stern on the Grand Canal – by private boat, an exciting way to arrive into Venice. We enjoy a buffet lunch on the hotel terrace. Early evening we meet Martina and walk to a private garden on the Grand Canal and enjoy an aperitivo. Continue for dinner together in the Dorsoduro. With Martina we take the boat to the Giudecca where we visit the extensive garden of the Franciscan monks behind Palladio’s Il Redentore church before going on to view a garden behind high walls. 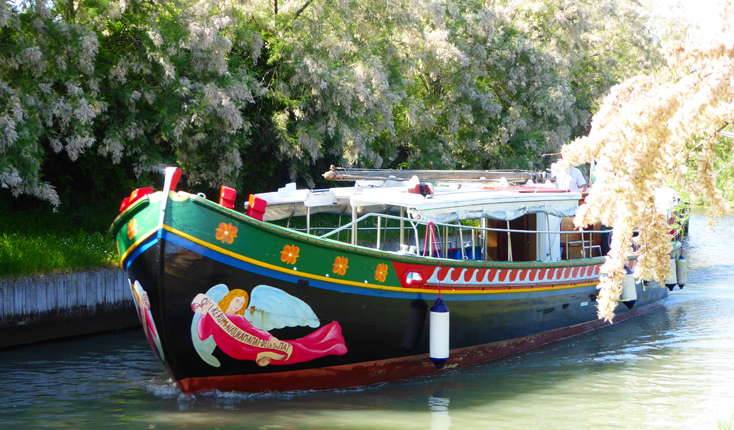 We enjoy lunch in a local restaurant overlooking the canal, with views to the Zattere and to St Mark’s. 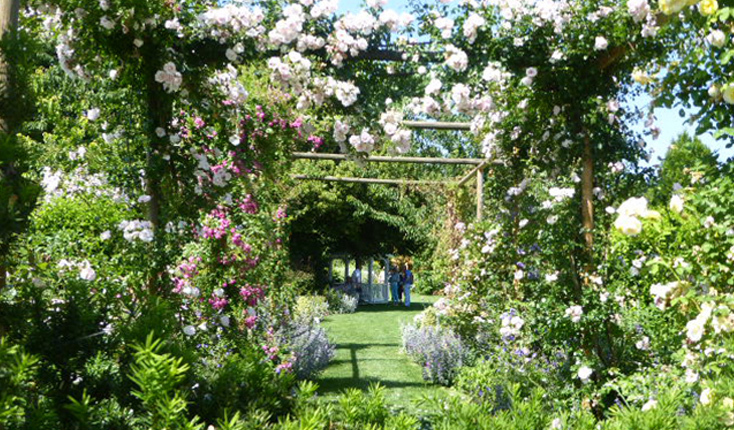 In the afternoon we discover a delightful rose garden on the Grand Canal beautifully restored by its late owner, returning on foot across the Accademia bridge to the hotel in Dorsoduro. Evening at leisure. Full day on the mainland. We visit Villa Emo in the foothills of the Euganean hills. The beautiful Palladian villa and garden are of classical Italian design with parterres, rose-lined fish ponds, arbours and statues. Lunch at a small restaurant in the country. We continue to Villa Barbarigo Pizzoni Ardemani at Valsanzibio. Set in a wooded valley merging with the steep hillsides of the Euganean hills, it has an air of mystery and was laid out in the period of the Venetian Republic. Evening at leisure. We are joined for the day by Martino Rizzi, our specialist guide. 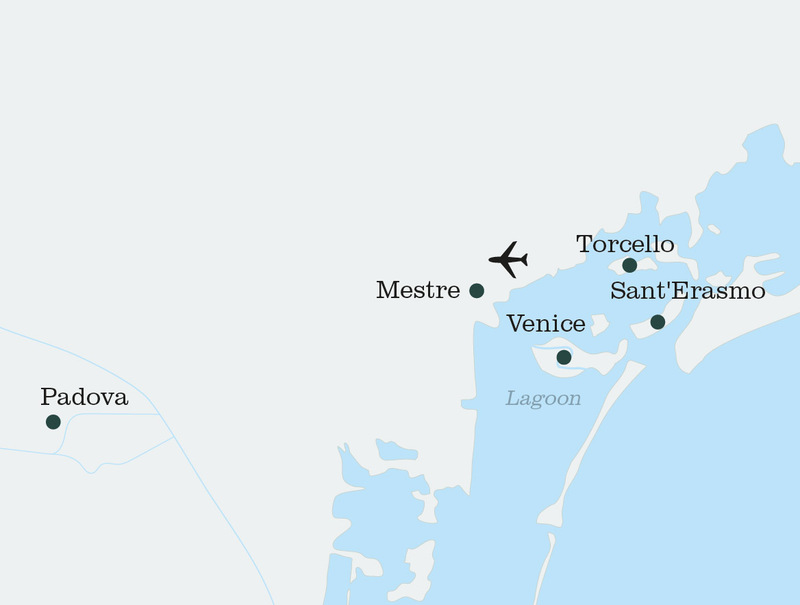 We take a private boat (‘Bragozzo’) to the little known islands of the lagoon, including Sant’Erasmo, Venice’s garden where produce is farmed for the Rialto market, and we visit a local farm. Enjoy lunch in a nearby locanda. 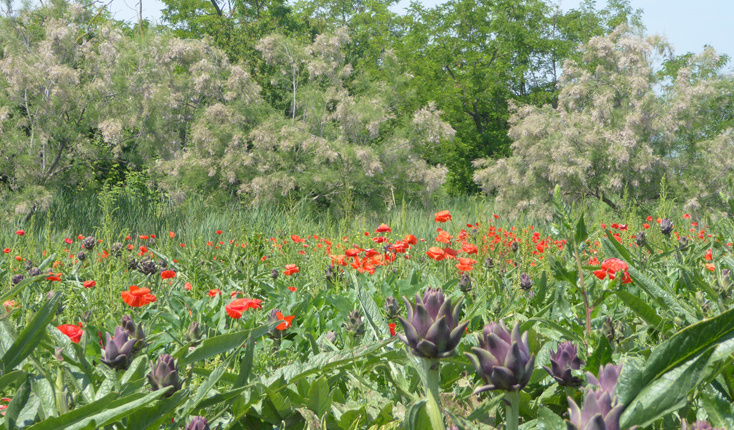 Continuing our journey we view the construction of the flood defence system before arriving at the island of Torcello to visit an extensive private garden. The seventh century Cathedral of Santa Maria Assunta is exceptional and a guided visit is fascinating. 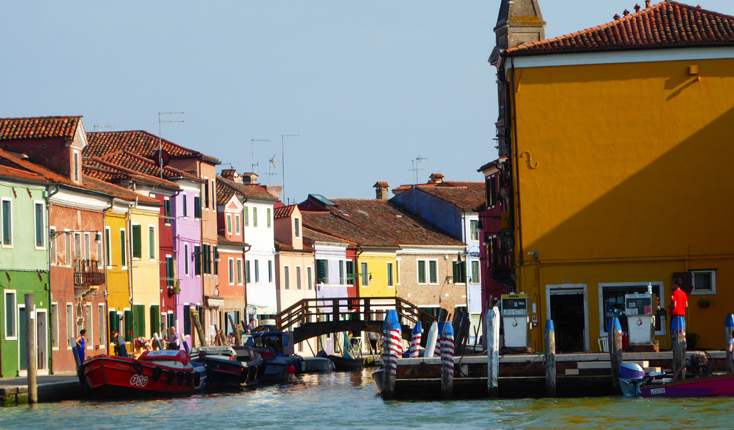 We pass the islands of Burano and Murano on our return to Venice. Evening at leisure. After breakfast we leave by boat to the mainland and take the road along the Brenta Canal to admire the elegant villas and gardens, arriving at Padua to visit the fascinating Orto Botanico. Founded in 1545 and forming part of the University, it is now a registered UNESCO World Heritage Site, and notably well laid-out and labelled. Lunchtime is near the Prato della Valle. In the afternoon we visit a superb garden recently created by an inspiring young couple in the countryside near Padua. We return to Venice by boat. Dinner together in a restaurant with views to the Giudecca island. 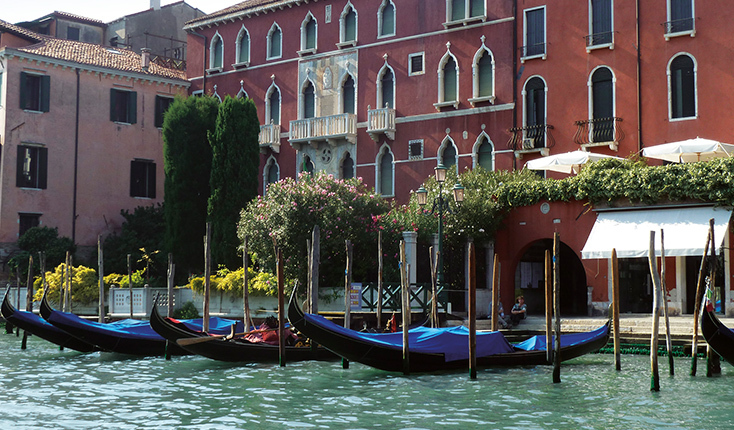 Depart by private boat from the hotel to Venice Marco Polo airport for the return flights. £990 supplement for single occupation of double room. (upgrade to suites with Grand Canal view are available on application). All flights and transport in boats, modern comfortable minibus. Accommodation with ensuite bathroom, delicious meals as indicated, all garden visits and guides. The climate in May will be warm and mellow but a rain shower could occur. Lightweight layers of clothing are recommended, with a waterproof jacket in case of a shower and good shoes. Smart casual for the evening. Ability to get on and off small boats and some walking along the canals.